brands4u Mega Sale is here. Avail great discounts on a wide range of products. 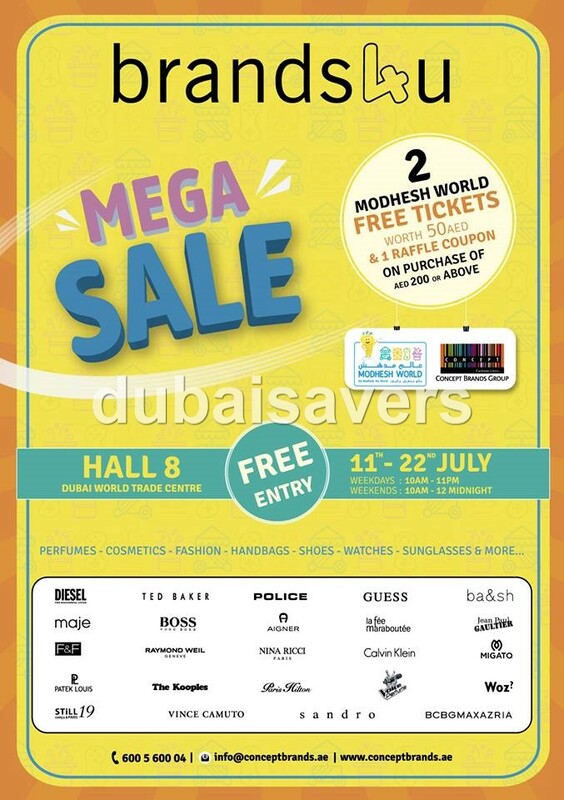 Plus get 2 Modhesh World Free Tickets Worth AED 50 & 1 Raffle Coupon Free ( On purchase of AED 200 or Above ).